Copyright: © 2017 Li S, et al. This is an open-access article distributed under the terms of the Creative Commons Attribution License, which permits unrestricted use, distribution, and reproduction in any medium, provided the original author and source are credited. Periodontitis is one of the most prevalent infectious diseases in human beings, characterized by irreversible destruction on tooth supporting tissues such as alveolar bone, Periodontal Ligaments (PDL) and cement. The pathogenesis involves a complex interaction between the host’s immune response to microbial colony localized in periodontal part, and modifying host factors, including smoking, gene and systemic disorders such as diabetes, cardiovascular disease and rheumatoid arthritis. The ultimate goal of periodontal therapy includes control of infection and final reconstruction of gingival connective tissue, cementum, alveolar bone and PDL. In addition, formation of Sharpe’s fibres, and oriented PDL embedded in both newly formed cementum and alveolar bone, are essential and challenging for periodontal regeneration. During the last three decades, various treatment approaches have been employed for periodontal defects and achieved variable success. Following disease control interventions such as tooth cleaning/scaling, root planning and periodontal debridement, regenerative surgical techniques have been introduced since the 1980s. These methods include bone graft placement, guided tissue/bone regeneration (GTR/GBR), application of biological mediators such as Enamel Matrix Derivative (EMD), and other cell-based techniques. And favourable results were obtained in both clinical trials and animal models. Various types of bone grafts have been investigated to determine their ability to stimulate new bone formation, including alloplastic materials, auto grafts, allografts and xenografts. Some of the materials have already been widely used in clinic for several years, resulting in some gain in clinical attachment levels and radiographic evidence of bone fill. However, the histological results suggested that the materials showed more capacity of osteocondution, but lower osteoinduction and cementogenesis. Referring to the membrane used in GTR, it prevents fibroblast cells in epithelium and gingival connective tissue from the healing site. It’s currently considered as “gold standard” for periodontal regeneration in clinic. Nevertheless, the remaining problems are poor mechanical properties and lack of biocompatibility, which is very crucial in space maintenance and biomaterials stability. Another way to heal the periodontal defect is the delivery of bioactive molecules directly to the defect area. 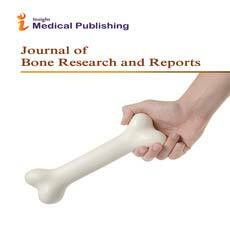 Enamel Matrix Derivative (EMD) and Platelet-Derived Growth Factor (PDGF), insulin-like growth factor-I and Bone Morphogenetic Proteins (BMPs) have been introduced in researches with excellent results. However, the clinical significance of these procedures is still to be seen. For stem cell engineering, the main cell populations with regard to periodontal regeneration, including Bone Marrow-Derived Mesenchymal Stem Cells (BMSCs) and the main dental-derived mesenchymal stem cell populations: Periodontal Ligament Stem Cells (PDLCs), Dental Pulp Stem Cells (DPSCs), Stem Cells from Human Exfoliated Deciduous Teeth (SHED), Stem Cells from Apical Papilla (SCAP) and Dental Follicle Precursor Cells (DFCs) and MSCs from gingival tissues. Cell injection, cell sheet pellets or micro tissues for tissue regeneration has the potential to significantly influence periodontal treatment strategies in the future. Despite the promising future, there are still many issues that need to be dealt. For example, difficulties in trigger of the differentiation of cell, large-scale expansion of cell, potential risk of transmitting vial and prion disease with the use of Fetal Bovine Serum (FBS). Regeneration of bone-PDL complexes is promising but challenging due to complexes topologies and tissue integration required for functional restoration. Other clinical factors are also included in final. Outcome firstly, defect dimensions appear to be an important factor in predicting regeneration outcomes in clinic. It’s found that wide shallow defects responded with less bone gain compared with narrow deep intrabony defects, in which better clinical results are achieved (i.e., larger clinical attachment level gain and bone fill). Second, the amount and character of residual gingiva is critical for achieving passive flap adaptation and wound closure for primary intention healing. Given full soft coverage and appropriate thickness of gingiva coverage, the healing process could not be interrupted. However, it’s also indicated time is an important factor. Given enough time for tissue remodelling and maturation, even very large periodontal defects grafted with a bone substitute by guided tissue regeneration showed complete regeneration. Above all, many advances have been made over the past few decades for the regeneration of periodontal apparatus. Tissue engineering has been developed from the application of one type of material to combinations of different biomaterials and finally to a delivery system to biological factors and cells. More research needs to be focused on in vivo systems or randomized clinical researches to improve the results.